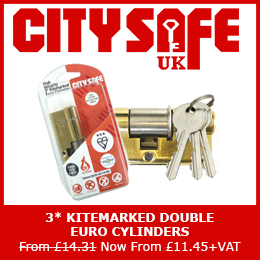 Get 20% off CitySafe Retail products – cylinders, padlocks & more! Until the end of Tuesday 21st November, CitySafe is giving you the chance to get 20% off all products online in CitySafe Retail packaging! All you have to do is select the products you want to purchase from the CITYSAFE RETAIL PACKAGED category, add them to your basket and enter the promo code VATFREE at checkout! -There’s a padlock available for every customers need! Remember, you only have until the end of Tuesday 21st November 2017 to get 20% off CitySafe Retail packaged products – so don’t miss out! Click here to start saving! *Terms and conditions apply. Visit our website for more details. Previous Previous post: Kitemarked British Standard Mortice Locks from £5.50+VAT! 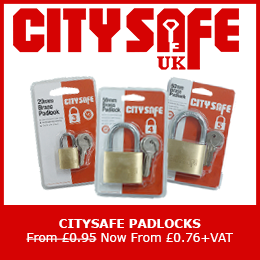 Next Next post: The CitySafe Padlock Bundle is back!